JDC - Archives : Mrs. Floersheim, a refugee from Shanghai on the porch of her new home. Title Mrs. Floersheim, a refugee from Shanghai on the porch of her new home. 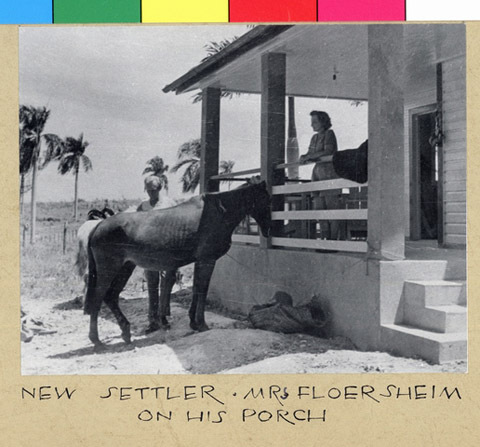 Description Mrs. Floersheim, a refugee from Shanghai on the porch of her new home in Sosua. The family received a homestead, where they can farm and raise livestock.